LinxPrint is a Canadian owned and operated team of dedicated individuals who primarily believe in providing unsurpassed service in the printing industry. Our team of professionals are made up of industry leading graphic designers / pre-press operators, combined with knowledgeable production individuals, and finishing experts. We define service as offering a great quality product, at the fastest turn around time possible at an industry competitive price, while treating each and every client with the highest level of respect and courtesy. For further information on our products and services, please refer to our printing products and services. 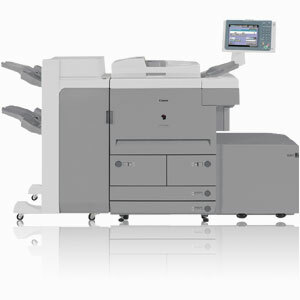 With its ability to produce premium finishes across all media, the HP Indigo 5500 offers unmatched printing quality! Digital output has never looked so professional. Best-in-class color accuracy and consistency. 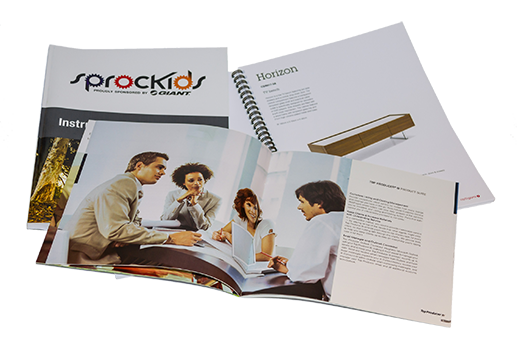 Wide color gamut, with up to 7-color printing. Special and spot color capabilities, including white and clear ink. Specifically designed to meet most heavy stock and speciality substrate requirements. 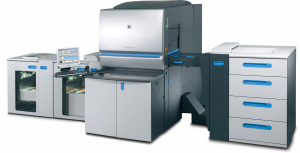 Supports an extensive range of media up to 400 gsm as well as being capable of producing optimum quality up to 2438 x 2438 dpi. High definition dot placement technology enables 812 dpi at 8 bit, addressability: 2438 x 2438 dpi HDI (High Definition Imaging). Superior line and micro text printing. 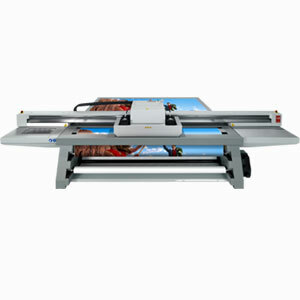 The HP Latex 310 is a colour inkjet printer designed for printing high-quality images on flexible substrates. The HP Latex 310 produces durable prints with outdoor display permanence. Water-based HP Latex Inks combine the best characteristics of solvent inks and water-based inks. With HP Latex Inks, you can obtain outdoor durability and versatility across all common media types used in sign and display applications, together with high-quality, odourless prints. 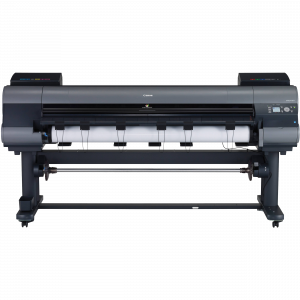 Built to put advanced printing technologies into the hands of artists and photographers, the 60″ Canon imagePROGRAF iPF9400 will help to fulfill your creative potential like never before. With the iPF9400, Canon delivers impressive 60″ colour output, strength in paper handling and speed in output – everything a professional needs to productively and efficiently create enhanced colour materials. An incredibly large colour spectrum is produced by the 12-Color LUCIA EX pigment ink set, which also provides better scratch resistance and smoother gradations. Output: Posters, Banners, Trade show Images, Retail Signage, maps and charts. The Canon imageRUNNER 7095 Printer is an excellent production solution for print-only environments performing large volumes of transactions and host-based printing. 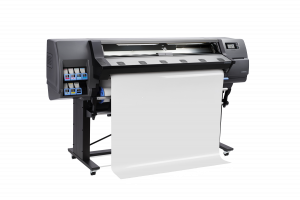 You can configure the imageRUNNER 7095 with a choice of print controller options to execute complex workflows and complete long runs with minimal operator involvement. You can also accomplish professional publishing needs by using a full range of document handling and finishing accessories and you can further leverage your investment in the Canon imageRUNNER 7095 by using part of the system’s vast memory as an on-site document storage and print-on-demand solution, even as you retain complete control over device access and data protection via the latest management and security measures. Productivity: with impressive output speeds at 95 ppm (letter), the Canon imageRUNNER 7095 has the speed to power your productivity. Features include a custom dual processor technology to handle sophisticated applications with incredible speed. The Canon imageRUNNER 7095 also provides available support for actual 1200 x 1200 dpi print resolution and Canon’s exclusive Fine Character and Edge Technology (FCET), so you can count on outstanding image quality on every page. Reliability: every imageRUNNER 7095 is infused with the strength and power needed to withstand the daily punishment of production environments. A sturdy, reinforced frame offers rock-solid stability, while multifeed detection technology stands guard against double-feeds and lost productivity. These improvements, along with high-durability parts and components, add up to superior reliability for environments producing huge volumes of pages every month. At LinxPrint, we dedicate ourselves to ‘green printing’ practices by reducing ink and paper waste and insuring our print shop air quality surpasses legal guidelines. While the cost of printing your material in a ‘green’ fashion maybe slightly more, the benefits of such practices for the environment far outweigh the minimal increases in cost. 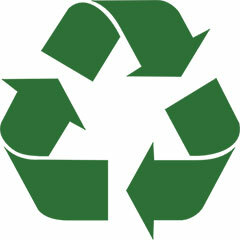 At LinxPrint, we are proud to offer a variety of paper types that are post-consumer recyclable. Printing on these papers, combined with good printing practices, will go a long way in preserving our environment for generations to come. We use and offer the most eco-friendly papers available. We educate our customers about how to reduce their design and project’s environmental impact. We aim to reduce/eliminate all toxic chemicals where possible. We provide a safe and healthy working condition for our employees, including the use of the most advanced air filtration systems.